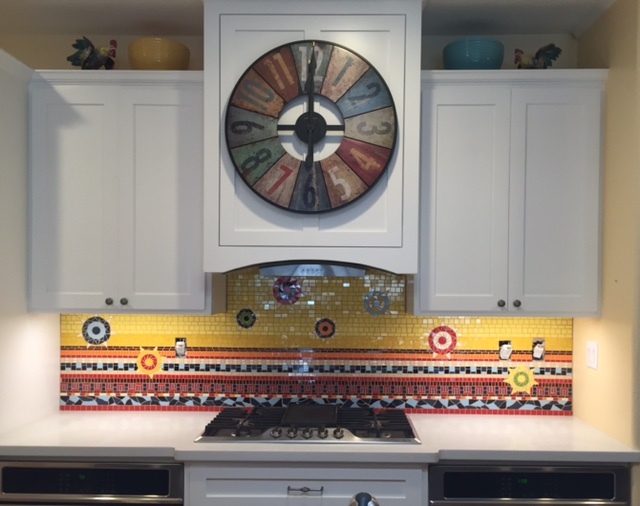 This is a 60 square foot mosaic backsplash that I created in 2016 for a client in Murrieta, California. The white cabinets and counter tops really make this colorful backsplash pop! I fabricated the backsplash in my studio in Riverside over a three month period. Each piece of tile in the design was individually cut on a wet tile saw and glued onto the hardibacker sections. I installed, grouted and sealed all of the tiled sections with the help of my husband, Greg, and my son, Jon. The finished backsplash is beautiful and my client is thrilled! 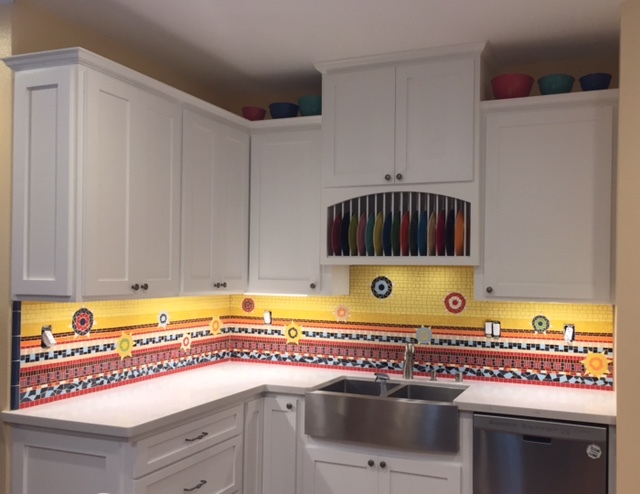 If you are interested in a having a mosaic backsplash created in your home or business, I offer free consultations to discuss possible designs, types/colors of tile and estimated timelines for completion.